Television released their second studio album Adventure in 1978 an effort which spent 14 years looking as though it was going to be their final studio album. The critical acclaim earned by Television for their 1977 debut album, MARQUEE MOON, was pretty darned impressive, to put it mildly, and it didn’t take long for the band to produce a sophomore effort, ADVENTURE, which was received almost as rapturously, thanks to songs like “Ain’t That Nothin’,” “Foxhole,” and “Glory.” No, it’s not necessarily as in-your-face as songs like “See No Evil” or “Marquee Moon” had been, but that certainly doesn’t make it any less strong an album. 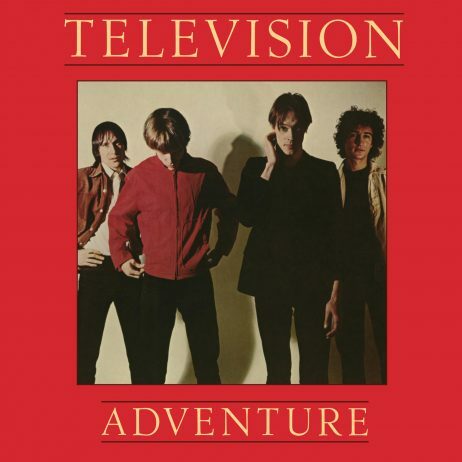 Unfortunately, the members of Television were very strong-willed individuals, each of whom was pretty steadfast when it came to wanting to maintain their creative vision, and when you couple that with certain pharmaceutical difficulties (they’re on the record, but we’re not going to go into detail), things can turn problematic. As a result, the band members went their separate ways not so terribly long after ADVENTURE’s release. Thankfully, the band got back together again in 1992 to release a self-titled third album, but…well, that’s a story for another day.